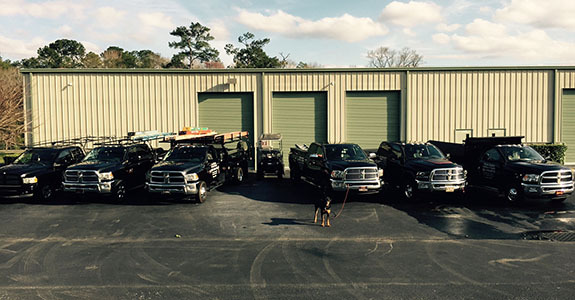 About Us | Winter Springs Roofing & Repair, LLC. Winter Springs Roofing & Repair remains one of the last “genuine owner operated” specialized roofing repair businesses in Central Florida. 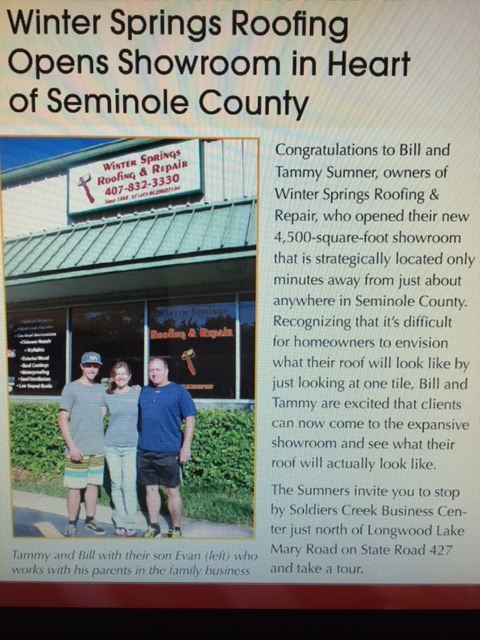 Winter Springs Roofing and Repairs is operated by Bill and Tammy Sumner who have both lived in the area since the 1970’s. 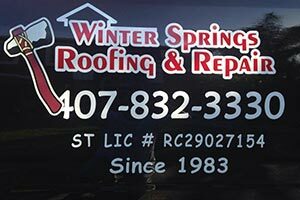 Winter Springs Roofing and Repair and Owner, Bill Sumner, began serving Central Florida customers in 1982. He moved to Winter Springs, Florida in 1977 where he graduated from Oviedo High School and attended college at the University of Central Florida. Central Florida was in the middle of a huge housing boom when Bill started to learn a trade in roofing thus began a 17 year span of specialized experience in roof construction. During this 17 year span of the housing boom, they worked on roofs throughout Central Florida in many new home subdivisions in Lake Mary, Winter Park, Winter Springs, Tuscawilla, Oviedo (including much of Alafaya Woods), Twin Rivers, areas surrounding UCF, Highway 50 to Waterford Lakes, Eastwood, areas in South and West Orlando and Lake County. In this time, they were approached by new home builders to repair warranted and brand new roofs. They established themselves as reliable roofing contractors within the new construction business and provided unique insight into the construction of homes being built in the Central Florida area. This would prove valuable knowledge in the future when Winter Springs Roofing and Repair became specialists in the “repair” aspect of the business. As many homeowners have discovered, most of the homes built in the “cookie cutter” neighborhoods were not made to last forever. Bill witnessed firsthand that many home builders were more interested in volume, undercutting labor rates, and always on the outlook for cheaper material suppliers, while competing with the dozens of other home builders. This type of environment helped to create imperfections that eventually became roof leaks in Central Florida homes. There were plenty of altered building methods and changes in the building codes over the last 30 years that helped to generate a need for “roof repair” contractors. The housing boom was changing and slowing down in the late 1990s. The existence of these thousands of new homes provided an opportunity for new business in the form of maintaining them. Bill and his wife, Tammy built a home in Winter Springs during the late 1990s and after installing the roof on his own home and much of the neighborhood itself, Bill decided to semi-retire from roofing new home construction. Armed with years of experience, Bill decided to specialize in the “roof repair” side of the business, fixing and repairing roof-related problems inherited by homeowners. There were thousands of homes built in the area over the last 20 to 30 years in need of roof repair work and maintenance. Our previous experience in construction is why Winter Springs Roofing is an area leader when it comes to evaluating, troubleshooting, and repairing roof related problems. Bill has seen dozens of people; contractors and builders come and go over the last 30 years. Winter Springs Roofing and Repair performs every type of roof repair services and has developed some specific techniques unique to our company. Bill has been called in to repair long standing roof repair problems in Central Florida that have been unresolved after several years and several other contractors, including precision tile roof repairs. Winter Springs Roofing & Repair has received personal referrals from hundreds of satisfied Orange and Seminole County roof repair customers over the past 28 years. This history has created a reputation that cannot be bought by any advertisement. Bill continues to answer his phone directly, and if unable to he will call you back the same day if not within minutes. Winter Springs Roofing and Repair does not have sales people; Bill goes out to every call and personally meets with every homeowner. This creates an old fashioned way of doing business that homeowners still appreciate. Bill treats every customer personally and with respect — not like a “cookie cutter” assembly line. Bill performs most of the work himself, especially for small jobs. Yes, we will perform “small” roof repair jobs! When Bill brings a crew to a job site, it is an experienced crew of lifelong roofing technicians who will have a combined 100 years of experience — not a crew of young kids. Bill plans to continue providing this old fashioned, excellent customer service indefinitely. There many unlicensed contractors flooding the roofing repair marketplace and driving prices down. Winter Springs Roofing and Repair cannot and will not compete in these situations. It is unfortunate for a homeowner to hire such a person,and to have no recourse if something goes wrong. Winter Springs Roofing and Repair is not the cheapest price in town but we stand by our work! With any service, you get what you pay for and roof repairs are no exception. We are typically called in to re-fix failed attempts by other people, contractors or jobs left without warranty or when other contractors have gone out of business. We encourages homeowners to do a little homework before choosing a contractor. Roofing itself has a bad reputation among the public. There is a lot a homeowner can find out through the State of Florida, Better Business Bureau, Chamber of Commerce, Department of Business and Professional Regulations and from their family and neighbors, and the roofing company’s own website. Choosing a Central Florida roofing contractor by cheapest price is not the wisest decision, especially during rain storms, bad weather or hurricanes. Most reputable roofing contractors are not generally available to be at your door immediately. We do not realistically expect to see a doctor the same day you call the office or have a surgery the same day. Winter Springs Roofing and Repair has been doing business in Orange and Seminole Counties since the 1980s with the help of our exclusive material supplier, Sunniland Corporation. They have given Winter Springs Roofing and Repair the security of providing the most modern, top of the line materials so that we can perform the work needed. At Winter Springs Roofing and Repair, customers become customers for life, with repeat business on their future homes and those of their neighbors, friends and families. Winter Springs Roofing and Repair’s family of customers can rest assured that in times of need, we are there for you. Understanding that reliable repairs take time to evaluate and fix, we work efficiently to complete the job correctly every time. We are there for you! WINTER SPRINGS ROOFING AND REPAIR, LLC. Receives 2012 Best of Orlando Award !!! Winter Springs Roofing & Repair, LLC has been selected for the 2012 Best of Orlando Award in the Roofing Contractor category by the Orlando Award Program. Winter Springs Roofing & Repair, LLC is Committed to BBB’s Standards of Trust! This week, Winter Springs Roofing & Repair, LLC announced its recent accreditation by BBB Serving Central Florida. As a BBB Accredited Business, Winter Springs Roofing & Repair, LLC is dedicated to promoting trust in the marketplace. BBB Accredited Businesses must adhere to BBB’s “Standards of Trust,” a comprehensive set of policies, procedures and best practices representing trustworthiness in the marketplace. The standards call for building trust, embodying integrity, advertising honestly and telling the truth, being transparent, honoring promises, being responsive and safe guarding privacy. Winter Springs Roofing & Repair owner/operator Bill Sumner understands how a damaged roof can quickly become a homeowner’s worst nightmare. That’s why he personally consults with each of his valued customers. Specializing in innovative solutions for the most difficult roof repairs, the award-winning Winter Springs Roofing & Repair is a local leader in tile roof, chimney, and skylight repair. In partnership with their exclusive supplier, Sunniland Corporation, Bill and his experienced team also offer customers the security provided by the most advanced and contemporary construction materials. “Our customers are part of the Winter Springs Roofing & Repair family, and they can rest assured their roofing needs will always be our top priority,” says Bill.